GP Planning Ltd successfully obtained planning permission for the erection of a 3620sqm flatstore building for the storage of 20,000 tonnes of grain for a County wide farmers co-operative on Salisbury Plain, near to the Stonehenge World Heritage Site. 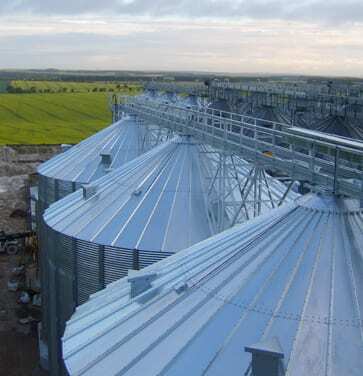 Centralised storage is beneficial to the economics of arable production; farmers have more control over their investment, conditions under which products are stored are professionally controlled, and the co-operative system results in fewer silos and/or grain store buildings being necessary across the broader countryside. Changes in the farming of grain and seed crops, due to developments in the global economy, and in the production of biofuels, means that agricultural production must increase; meanwhile there is an acknowledged shortage of on-farm storage and a demand by end-processors to take their inputs on a just-in-time basis.